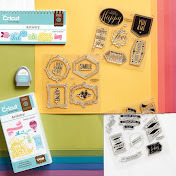 Today, I made a gable treat box using the Cricut Artiste Cart and the Close To My Heart Moonlight Paper Pack. I also used the Tulle Ribbon, Perfect Fit - Halloween stamp, Black ink and some rhinestones. It was very simple and quick to make. 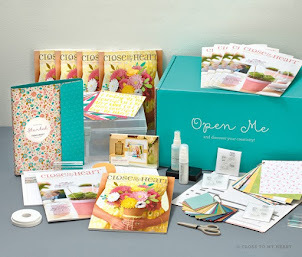 This box can be embellished in so many ways! It is the perfect size for candy or any small treat. You will find this box and many more on the Artiste Cartridge as well as tons of designs to decorate it. 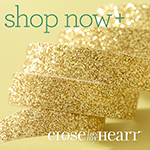 Order yours now and get started! Hello Everyone! I've been M.I.A. for a while since I had my son but I hope to be able to craft more soon! A co-worker of my husband and his wife very generously decided to make us a three course meal the other day. They knew how hard it would be to cook with a new baby and two little ones at home. I wanted to thank them for thinking of us so I made them this card. 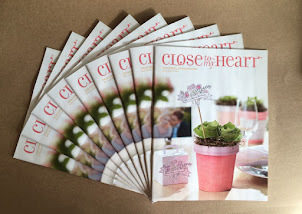 I used the Close To My Heart Avonlea Paper pack and the Cricut Artiste cart for all of my cuts. The bow was made with the Slate Satin Polka-dot ribbon. The "Thanks" was stamped with CTMH Slate ink pad and My Acrylix stamp For Every Occasion. The pictures didn't come out as well as I would like but I think the card is pretty cool :) Maybe you will too!